One of my favorite things about being back to blogging is linking up with some of my favorite blogger, including Biana from B from Boston. Every Monday she hosts a linkup that recaps the weekend, what a great idea! I try to participate as much as possible, but this is my first one since I've been back! Friday for lunch I got together with a friend to celebrate his birthday. We both love Noodlecat, so that was our restaurant pick. For Happy Hour on Friday, my bestie and I got together at one of our favorite local taco places, Barrio. As you can tell, I like to keep it local as much as possible. We love going here for happy hour to get some margaritas, chips and salsa and of course tacos! Everything is made to your liking, you get to pick everything that's on your taco. Check out their menu here. Oh and these bowls are DELICIOUS! Again you can put whatever you want in the bowl to make it the way you like it. I added in braised beef, grilled portobello mushrooms, cilantro-lime rice, chihuahua cheese, lettuce, cilantro and onion, red cabbage all topped with corn salsa with peppers and cilantro pesto. I have one word to describe this, amazing. I had Taco Bell (sober) for the first time ever after B's first football game of the season. We were driving to My Guy's mom's house for the rest of the weekend and B wanted a taco so we all got tacos. It was actually kinda good, am I crazy for thinking that?! The rest of the day on Saturday we hung out with one of My Guy's childhood friends and his family. They have two cute boys the same age as B, so they play together. It was a nice and relaxing Saturday and Saturday afternoon. My Guy's mom made her family recipe spaghetti for dinner. It was absolutely delicious! We added in some Italian sausage to the sauce, it was really good. I wish she would give me the recipe, maybe one day. I would love to keep the tradition going. My Guy and I went to visit some friends after dinner. And there was nothing better than enjoying a cold glass of champagne in the rain! We were under an umbrella so we didn't get wet and we just caught up with friends. The rest of Saturday was spent with B coloring. Have you ever heard of Adult Coloring books? We have become obsessed with them! They are so much fun to do. So B and I colored for hours on Saturday night. It was really nice. Sunday was spent with my parents having lunch. And then My Guy and I went home to color. Yes, we are that obsessed with it. Wine, colored pencils and good conversation is how we ended our weekend! Do you like local restaurants better than chain restaurants? Does your family have secret family recipes? Have you ever heard of adult coloring books? There is nothing better than sitting down for lunch on a chilly day and enjoying a big bowl of noodles. They take the "traditional" college food, ramen, and turn it into something so much more. The menu is customizable to your preferences, it doesn't get better than that! Another delicious option is their steam buns. The one pictured above is the Fresh Bacon Bun. It is sugar-cured, lightly smoked and roasted Ohio pork belly with BBQ. It is served on a white bread with lettuce, pickle, power ketchup and miso sauce. They typically change the type of buns they serve, but this one is one of the most delicious ones. All in all, a pretty good place for lunch in Cleveland. The service is quick, they have outdoor seating, the food is delicious and the portions are fairly large. 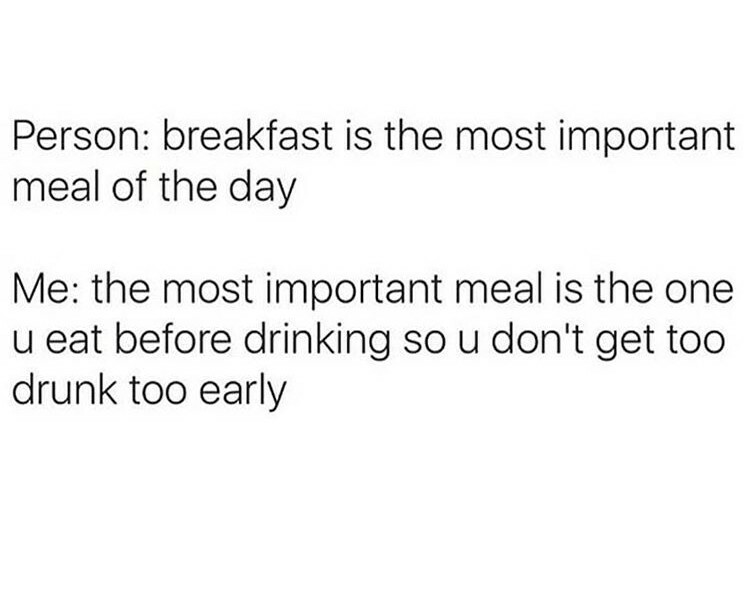 TGIF. My boss was on vacation this week so I was holding down fort. This means filling in for her during certain meetings and my 3 page to-do list she left me. I would like to say that I’ve accomplished like half of the things on that to-do list. Which means that I have a lot of work ahead of me today. Hopefully that will make my Friday go by faster. I’m excited to finally be back to blogging and linking up for this Friday Favorites with Amanda. Absolute favorite memory. The night that My Guy and I got engaged! It's been a few months now but it still feels like it was yesterday. A whole post to come on our engagement! Wednesday night My Guy and I went to one of my absolute favorite wine bars in Cleveland, Rocky River Wine Bar. If you are from the Cleveland area or if you plan on visiting Cleveland soon, I highly recommend this place. Their Happy Hour is awesome and their atmosphere is very relaxed but romantic. We split the spinach artichoke bites which came accompanied by sriracha aioli, marinara and a horsey cream sauce. Absolutely delicious. One of my favorite things about Facebook is that it tells you what you did "On This Day" previous years. The picture above is from the first time that My Guy and I actually felt like a couple. We went to the Italian Feast in Little Italy and he held my hand for the first time. And now look at us living together and engaged!! My favorite funny quote that I found this week. I would definitely agree with quote. 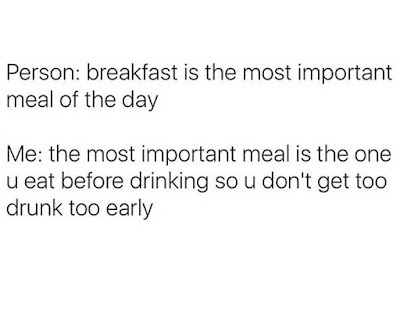 How many of you have skipped a good meal before drinking? It typically doesn't end very well. I am so excited to be back to blogging! Have you ever stopped blogging and then got back to it? What do you think of the funny quote? If you're engaged, do you ever just stare at your ring because it's so beautiful?? We've seen the trend all over Pinterest, Instagram, magazines and all other social media outlets. Barn weddings are becoming more of the norm rather than the "out in the boonies" wedding. The rustic, romantic yet elegant look is something that some brides look for. The look is simplistic yet beautifully romantic. The venue basically speaks for itself and a bride will need minimal decor to make it look stunning. 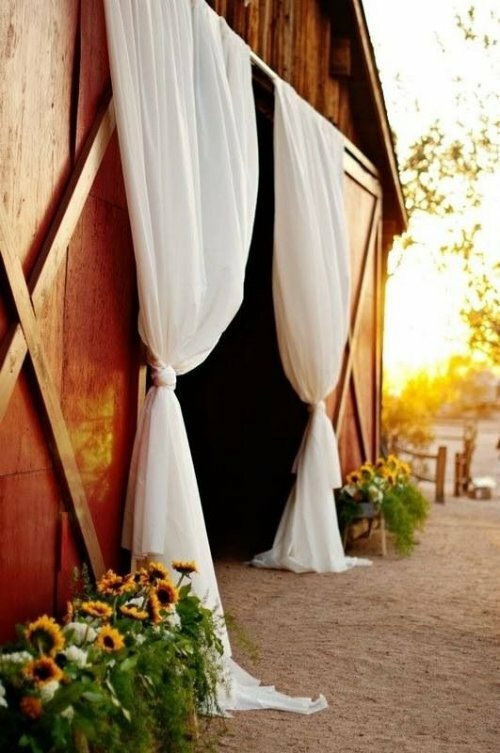 Simple drapery can make the entrance of a barn look grand. It gives it the flowy, romantic look. 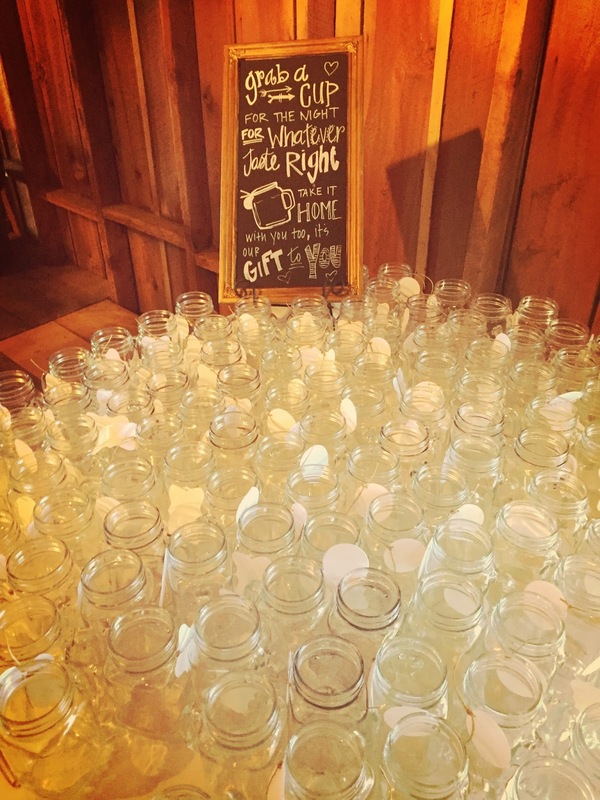 One of the best ways to invite guests into the romantic lit barn ahead. 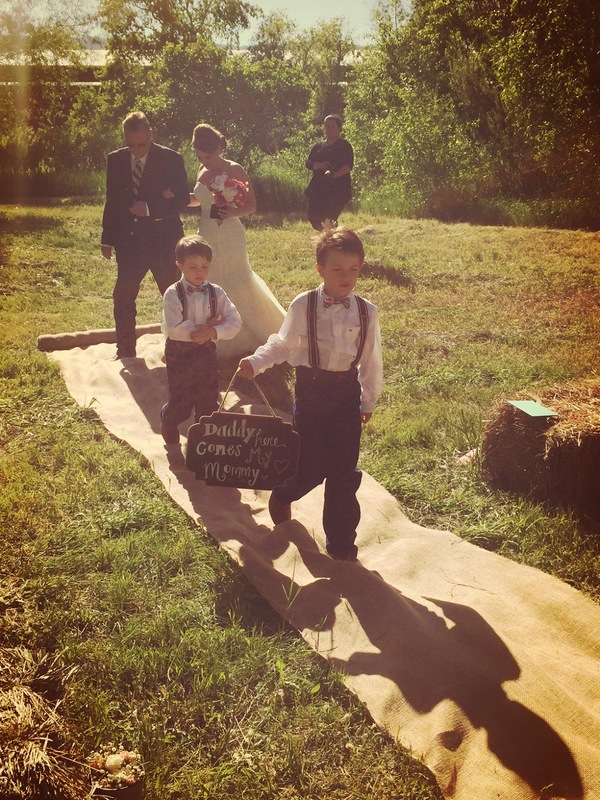 My Guy and I had the pleasure of attending our first barn wedding this past summer. The wedding was in a little town outside of Denver Colorado. The wedding was simple and romantic. The ceremony was outside and we sat on hay bales and there were cute signs around. The ring bearers wore adorable suspenders and were holding a sign. 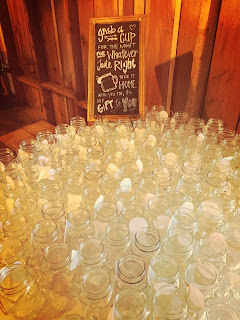 My favorite part of the wedding were the mason jars. I loved that we drank out of them all night long and we got to take them home as a party favor. The personal touches at the wedding made you feel like family. My Guy had the perfect excuse to wear his cowboy boots and cowboy hat to the wedding. He definitely fit in very well. There was no better place to take a picture other than outside during sunset. One of the best weddings we've ever been to! The barn was amazing, the decor was beautiful and the evening is unforgettable. Have you ever been to a barn wedding? What is your opinion on barn weddings? Have you ever been to a place and random found yourself people watching? I can tell you that My Guy and I have definitely found ourselves people watching more than once. It’s so easy to just sit on a bench in a busy location and just people watch. 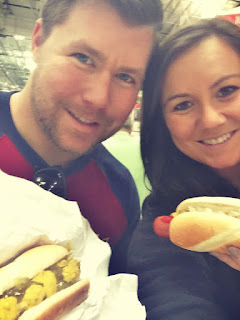 One of our favorite places to people watch is at Costco…after we get our hot dogs (duh, because we are super healthy people). We like to go to Costco on the weekends to go grocery shopping. Ok, let me be more clear...we like to go to Costco on the weekends to try their samples and buy a bunch of random stuff we typically wouldn’t buy if we didn’t sample it. Therefore, we walk in thinking we are going to get our normal Costco things (salmon, chicken, salad mix, etc) but then we try a bunch of random stuff and walk out with the random stuff ON TOP of our normal purchases. I swear Costco samples gets us every time! Anyways, back to people watching at Costco. This is what you gotta do! Go to Costco, grocery shop (or not) and go to where they sell ready to eat hot food. They have all sorts of goodies from giant pizza slices to ice cream and hot dogs. Get whatever you want to eat (get the damn hot dog) and then sit at a table. You will be shocked by how many people have to physically walk past you to get out of the store. And you being a normal human you will naturally people watch. I swear I get the best outfit ideas from people watching at Costco. Oh also, you can tell the people that are actually healthy or the people that just buy a bunch of fried crap…side note of course. Now go to Costco and do some good old people watching! Have you ever people watched? Have you ever been caught people watching? Changed my plan and idea for this blog yet again. You know I need to stop being so extremely indecisive. Back to Blogger it is! Wordpress was way too boring for me. I need to be able to customize more things and quiet frankly Wordpress doesn't really let you customize a lot.